Becky joined CAIS in March 2003 following five years working in the WCVA. Becky has worked in a variety of roles in CAIS including co-ordinating the DAWN project, DIP project, TSS project, managing the Appointments and Referrals team, and more recently managing the Learning and Development team. 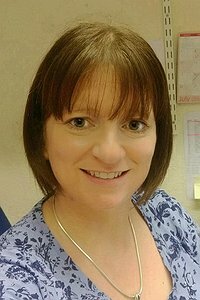 Becky has qualifications in Admin Management, Health and Safety, Quality and Environmental Management. As CAIS Business Process Manager Becky is responsible for the management and promotion of CAIS Health and Safety, Sustainability and Quality.